COOROY is to embark on a creative collaboration of local resources highlight the town's rich heritage. 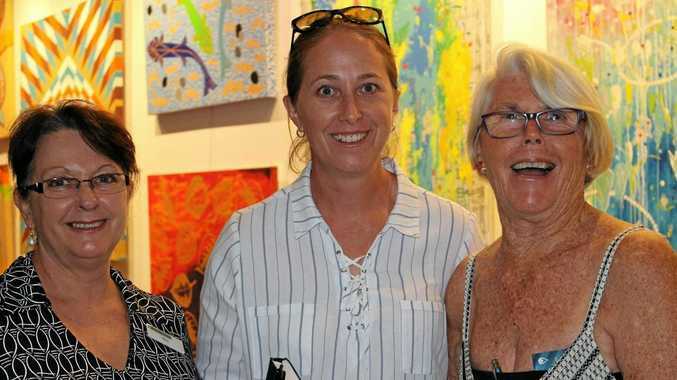 And this positive outcome between the Cooroy-Noosa Genealogocial & Historical Research Group and the Cooroy Butter Factory Arts Centre is all thanks to the Noosa Council's fifth Grants, Network and Nibble Night. These gatherings are proving to be springboards for community groups to secure funding through grants available by local businesses. Held at The J recently, the networking night provided an engaging forum where community groups were able to speak to and engage with local businesses about the free grants and services they can access. Noosa Genealogocial and Historical Research Group president John Hartley said has already set the wheels in motion for a project between his group and the Cooroy Butter Factory Arts Centre thanks an ensuing round-table brainstorm. "I'm going to apply for an arts grant on behalf of the group to do three video documentaries of six minutes each using photography and archives,” he said. "The project will be displayed on the white walls of the Butter Factory as part of Heritage Month next year,” he said. Council community development manager Alison Hamblin said her team at council always enjoyed holding the evening as it was a great chance to catch up with volunteers in an informal setting. "More than 100 local community group representatives come along each time and we always receive great feedback from many of them about the format of the night. "Each of the presenters have three minutes to speak about what they can offer, so it's a very fast-paced and informative night,” she said. Mr Hartley said the event allowed locals to chat with those offering grants, and get ideas on what they needed to do to apply. For more information about Grants, Network and Nibbles Nights, or council grants in general, visit noosa.qld.gov.au/funding- grants or phone 53296437.